Our geoboards are learning tools that have been used off and on for years. In fact, we’ve had the same geoboards for the last five years. All four of my daughter have used them or played with them. We especially love our Melissa and Doug Geoboard set. The kids have all loved ‘tracing’ the pictures. Today, my 6th grader had fun doing this perimeter and area geoboard exploration. Yes, you really can make 6th grade math fun. In fact, my daughter concluded this activity by saying that it was “Awesome!” Getting an 11-year-old to say that about math….. awesome. 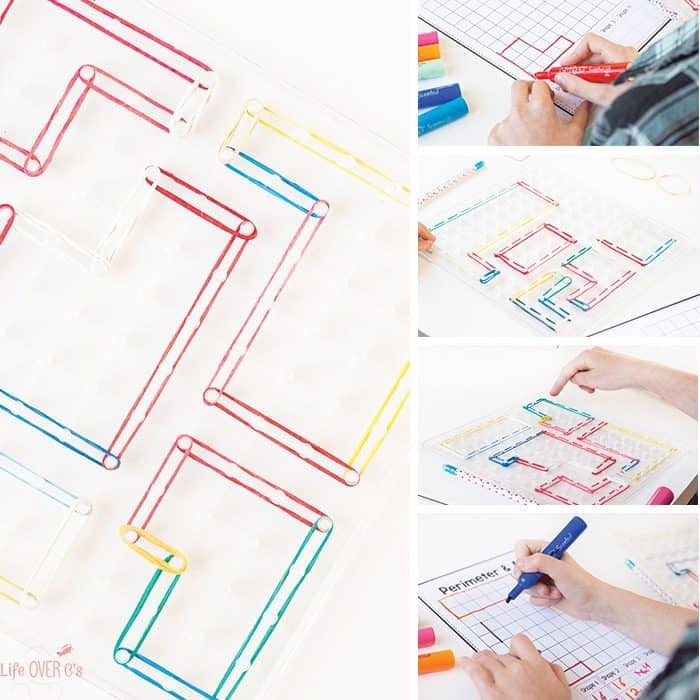 For this activity we used our Learning Resources Geoboard. 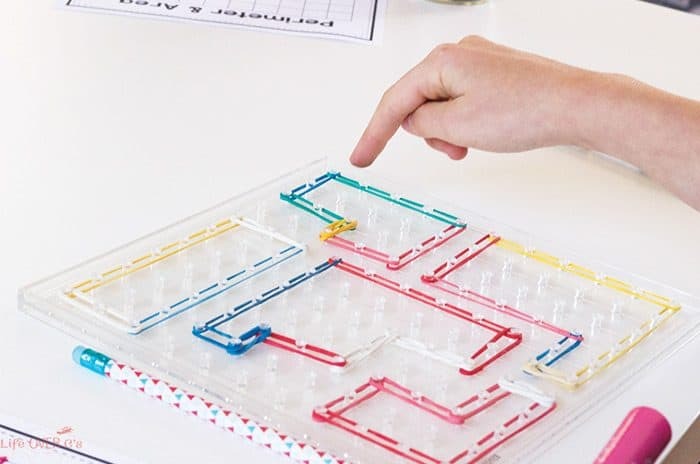 I like this one because it is clear and has more pegs than most children’s geoboards. This one is 10×10 which makes it great for using with older children. 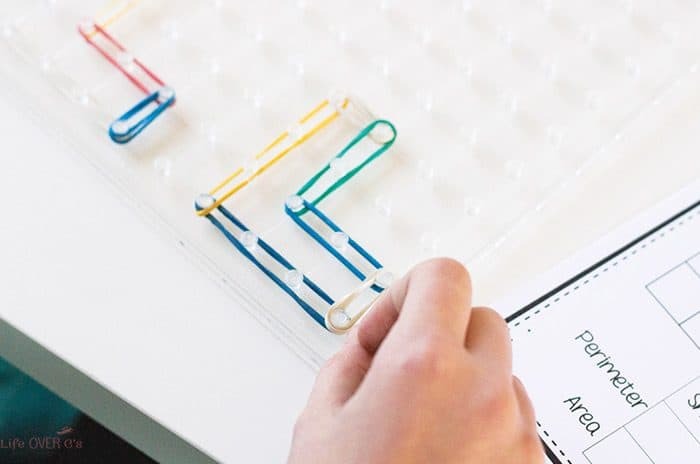 You could do a similar activity with a younger child using a geoboard that has less pegs. 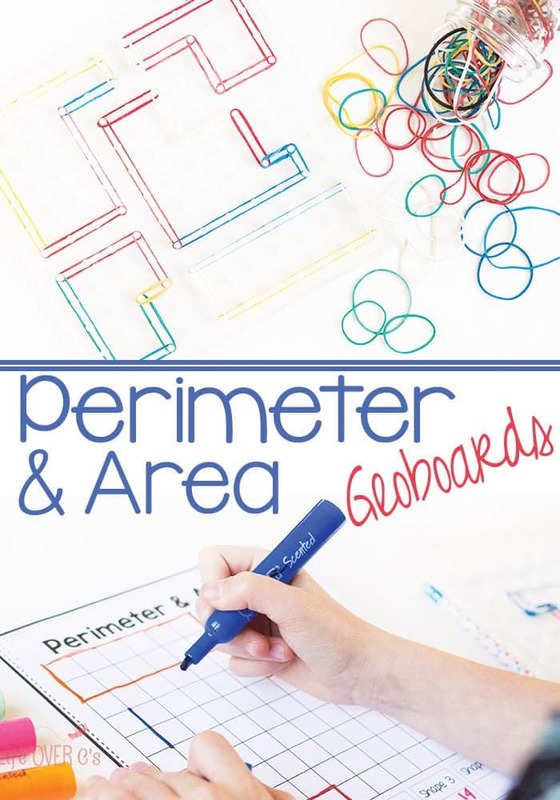 Print several copies of the Perimeter & Area recording sheet. We used 3 in one setting because she was having so much fun. 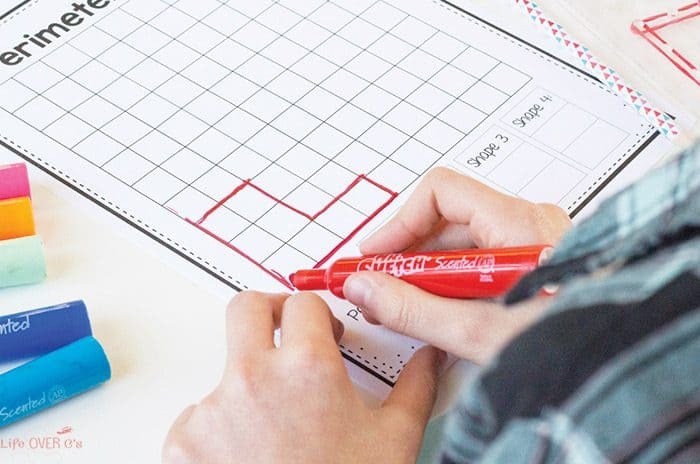 Create four or more shapes on the geoboard. We created irregular shapes because she is beyond the level of figuring the perimeter and area of rectangles and squares. 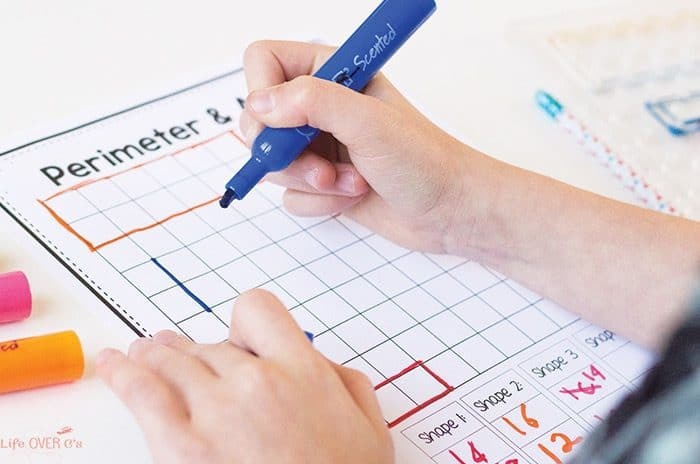 We did avoid doing triangles and similar shapes because we weren’t measuring the lengths of the sides, but rather counting the units on the geoboard. After we created our shapes, she drew the shapes on the recording sheet with her Mr. Sketch markers. Then, she figured out the perimeter and area for each shape. She was confused only for a moment when she thought we were counting the pegs that were on the inside of the shape. We did a quick review of what area is and she was fine after that. For kids who are confused, I always say that peRIMeter is the rim of the shape or a fence around the shape. And that the area is the carpet that is covering the inside of the shape. We repeated the process a few times and she left math time thrilled with how fun the activity was. Thank you for bringing this to my attention. It has been corrected and the link has been added above.